We all want to get top dollar when we sell our house, don’t we? Setting off a bidding war on a property to get the most from a House Sale, however, is easier said than done. Even drawing a serious buyer alone would take some well-thought steps starting from planning to actual implementation. Consider these purposive moves that some smart sellers have taken. We ourselves at House Sold Easy have likewise followed some of these as real estate investors for more than 10 years. Invest time and money in sprucing up the exterior of your house. A fresh coat of paint neutral in color would be advisable as this will help your residence not only appear lighter and bigger but also easier for would-be buyers to imagine how its rooms would adapt to their requirements. Also, don’t forget your home’s curb appeal. Enhance it as much as possible which could entail not only adding new sod but also planting fresh shrubbery or flowering plants. Thorough cleaning, removing clutter and de-personalizing your house interior is likewise necessary. This will enable the prospective buyers to visualize how they could fit their own lifestyle or preferences in the for-sale residence. Ensure too that in cleaning your house, bad smells are eliminated as these are a big turnoff to buyers. Show that your house is very well-maintained as well. This means that you would have to spend money on repairs, especially in the kitchen. Countertop upgrades are advisable as these really could add value to your house. But be sure you don’t overspend on repairs or updates as there is a possibility that you may not be able to recoup their cost. Spend on some décor or furniture to dress up your home for showing. In wintertime, it may be helpful to turn on your fireplace or brighten it up with some flowers. Many realtors even advice that a professional stager be hired in order to showcase a house in the best way possible. Typically, a well-staged home would not only sell for more but also would sell house fast. Don’t just rely on the multiple listing service or MLS but also tap other online portals to include not only real estate websites like Zillow but also social media platforms like Facebook. This means too that you need to have good photographs or videos as advertising materials for your home. Online appeal has become increasingly important than ever to sell house fast at the best price. This is so much in practice currently that there are now professionals devoted to creating videos and virtual tours of homes. Of course, you have to spend money as well in the services of these pros. In marketing your residence to reach all potential buyers, turning to property investors comes as a viable option too. This way, you don’t have to worry about making your house market ready. 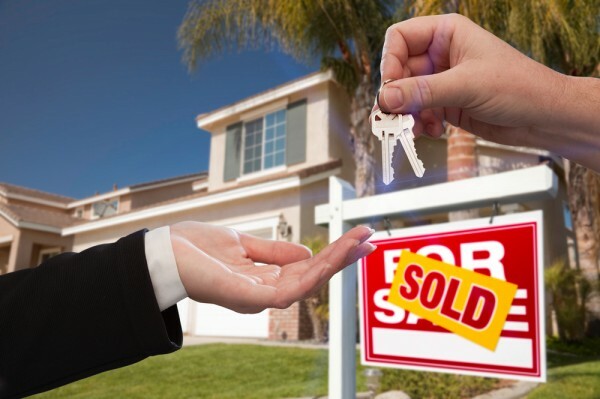 Minus all the hassles and costs of selling a house, you may even be getting the better deal with an investor like House Sold Easy buying homes as-is. Get the most out of your home sale. Call us at 636-525-1566. We’ll show you how!